This trolley will carry a standard plastic blade tray. 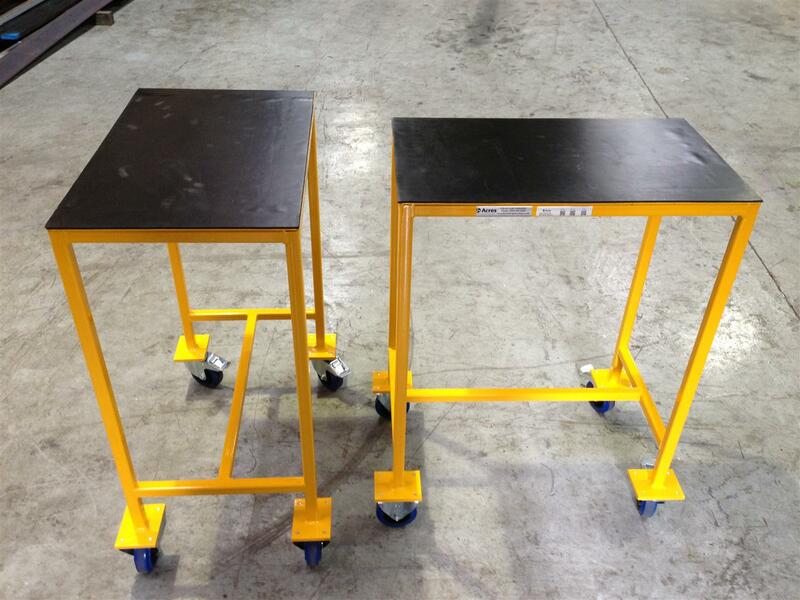 The trolley is fabricated from 25mm box section for the base section with a 3mm mild steel top plate. The top plate is covered with 3mm rubber. To manoeuvre the trolley it has been fitted with 4 off 100mm castors; 2 off fixed and 2 off swivel with brakes. These are all non marking high load wheels with elastic tyres.